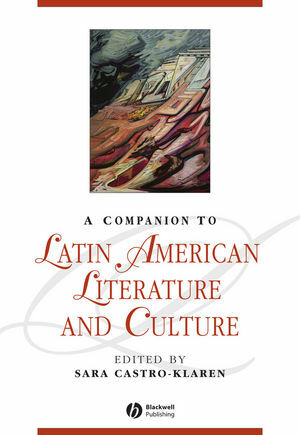 A Companion to Latin American Literature and Culture reflects the changes that have taken place in cultural theory and literary criticism since the latter part of the twentieth century. Written by more than thirty experts in cultural theory, literary history, and literary criticism, this authoritative and up-to-date reference places major authors in the complex cultural and historical contexts that have compelled their distinctive fiction, essays, and poetry. This allows the reader to more accurately interpret the esteemed but demanding literature of authors such as Jorge Luis Borges, Mario Vargas Llosa, Octavio Paz, and Diamela Eltit. Key authors whose work has defined a period, or defied borders, as in the cases of Sor Juana Inés de la Cruz, César Vallejo, and Gabriel García Márquez, are also discussed in historical and theoretical context. Additional essays engage the reader with in-depth discussions of forms and genres, and discussions of architecture, music, and film. This text provides the historical background to help the reader understand the people and culture that have defined Latin American literature and its reception. Each chapter also includes short selected bibliographic guides and recommendations for further reading. Sara Castro-Klaren is Professor of Latin American Culture and Literature at The Johns Hopkins University. She has been the recipient of several teaching awards. Most recently the Foreign Service Institute conferred upon her the title of "Distinguished Visiting Lecturer" (1993). She was appointed to the Fulbright Board of Directors by President Clinton in 1999. Her publications include El mundo magico de Jose Maria Arguedas (1973), Understanding Mario Vargas Llosa (1990) and Escritura, Sujeto y transgresion en la Literature latinoamericana (1989), along with Latin American Women Writers (1991) edited with Sylvia Molloy and Beatriz Sarlo.